Our hotel is located in the village centre, just 7 minutes walk from the railway station, on the Kandersteg Dorfstrasse. 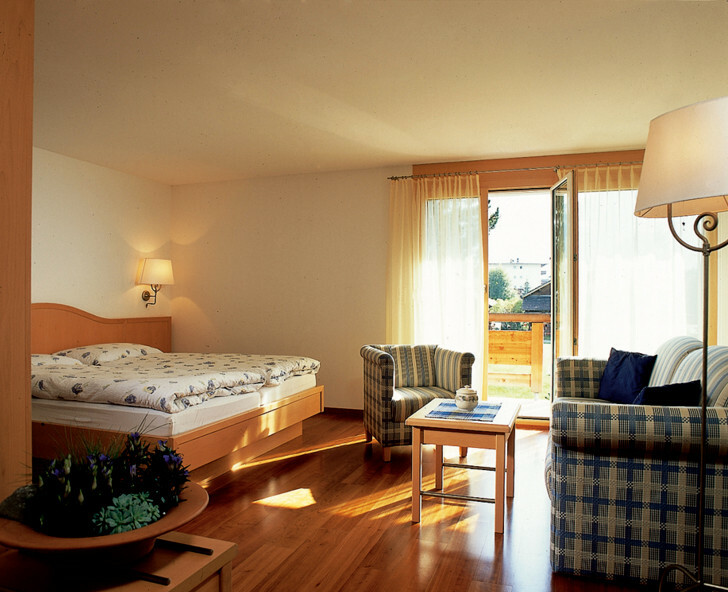 Our friendly, family-run hotel consists of two connected buildings: the main building and a chalet wing. The hotel has beautiful views of the Kandersteg mountains. Our amenities include a sun terrace, sunbathing area and a large parking lot. 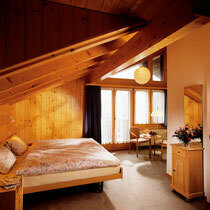 All rooms are equipped with shower / WC, radio, satellite TV and telephone. The rooms in the main building are cosy and rustic and some of them have balconies. Our family rooms can sleep up to 4 people. 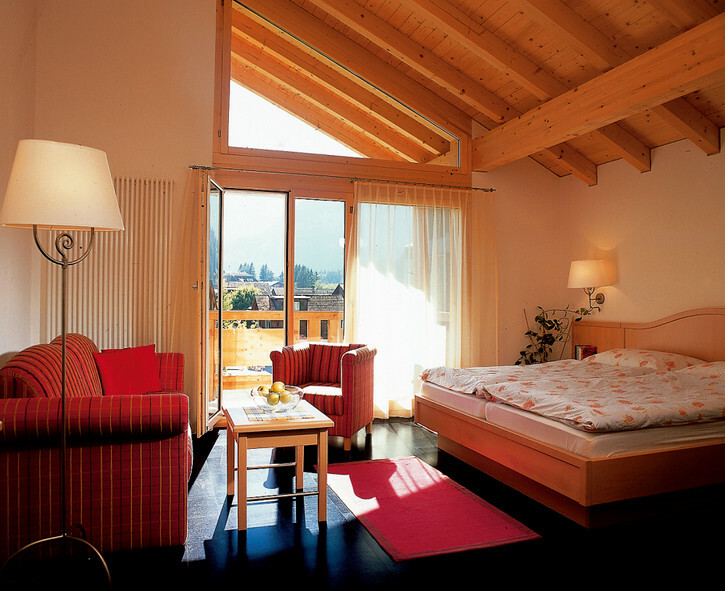 The rooms in the chalet-wing are modern and bright and all have balconies. 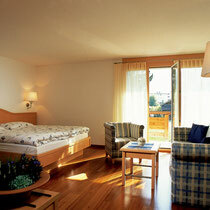 In addition to the many wonderful summer and winter outdoor activities, why not spend some leisure time in our hotel. For example relax in our sauna after an exhilarating day. Visit us for a revitalising stay!